We started our tour of Anupu archaeological site at Buddhist University Complex. A guard there told us about Ranganatha Swamy temple just down the road, two minutes walk away. Yes, the temple was ancient. We decided to give it a visit. The temple is ancient with lot of modern touches, nevertheless, its has a history. The temple doors were closed, looks like morning rituals were done and the priest had left for the day, probably another pooja in the evening. The temple has ample space around it and well maintained. A cement tank with clean water.. I washed my arms and face, drained off some heat ..aah! 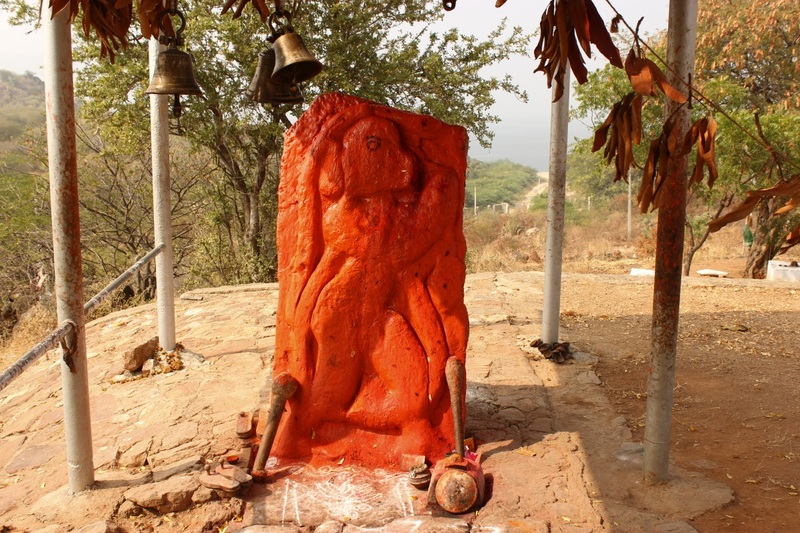 The premises consist of a temple, a mantapa, Neem tree, a storage room, temple office and Lord Anjaneya statue. It was silent, except the sound of broom scraping on the floor nearby. A small board on the temple office had some information printed on it..
Ranganadha Swami Temple History - Nagarjuna valley known as Vijayapuri during century AD. Ikshvaku period was threatened with toal submergence by a huge lake having more than a depth of 300 feet when work on Nagarjuna Dam was proposed in the year 1954. The archaeological excavations were taken up to extent possible the historical ruins under the direction of Dr. Subramanyam in the vast area of 3700 acres. Exposing 127 sites in addition to prehistoric artifacts from stone age levels to megalithic burials. 10 of the exposed sites were transplanted on Nagarjuna Konda which is an island in the huge lake. But Shri Ranganadha appearing as Divine-Light in the dream of Shri Subramanyam asked the salvage of the temple which housed an human. Also Shri Guru Shankracharya and Sekharendra Saraswati of Kanchi Kamakoti Peetham also persuaded Dr. Subramanyam to save the temple. 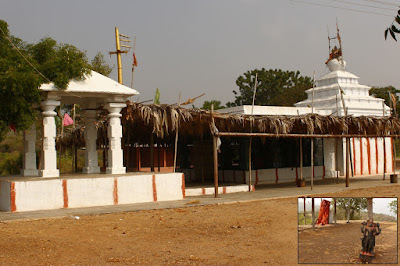 Consequently Ranganadha temple was reconstructed on the right bank of the 1½ mile stone on Macherla-Nagarjunakonda road by Dr. Subramanyam with the help and assistance of his staff. The temple was consecrated by Subramanyam along with his wife Smt. Saraswati while Sri Tangirla Subramanyam Sastri chanted the Agama Slokas. Kumbhabishekam was performed in the presence of devotees on 15-05-1957. History - Manumasiddhi the Telugu-Choda ruler of Nellore (historically known as Vikrama Simhapuri) was dethroned around 1250 AD by his cousins conspiring with Jala Varma Pandya. 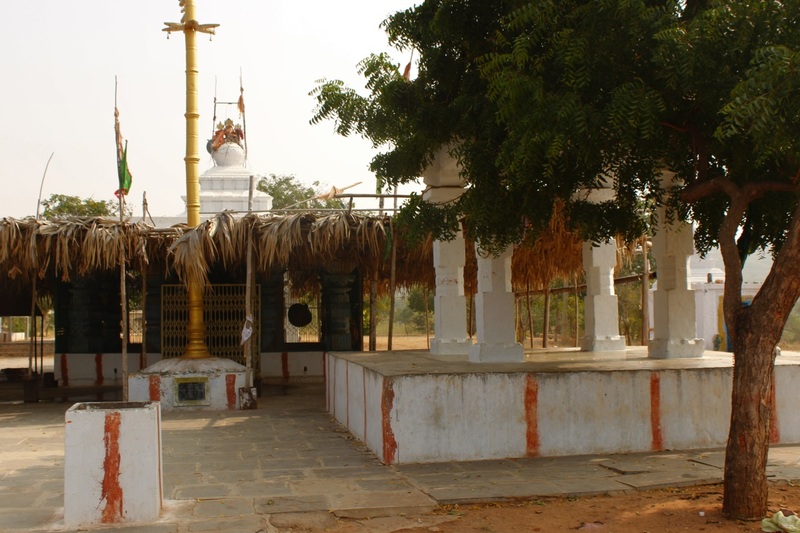 He found refuge in the Nallamala forests near Macherla for some time, when he constructed the Sri Devi Sahita Ranganadha temple in Nagarjuna Konda. The son Kommana Danda Natha "Kavi Brahma Tikkanna" could secure the help of Kakatiya monarch Ganapathi Deva to install Manumasiddhi again as the king Nellore prior to 1263 AD. An ancient statue of Lord Hanuman smeared in saffron. I wish people apply little on the forehead symbolically instead of covering the image from head to toe. Nature's things should be left as close as possible to Nature ..that's the Hindu way of life as I understand. This sites main street is one my left here. You can see the road run down and gives away to a dirt path which leads straight to the reservoir. Out there in the same direction is Nagarjuna Konda island, another site of relocated monuments. From here we move on to the other two spots of interest- Amphitheater and Hariti Temple.